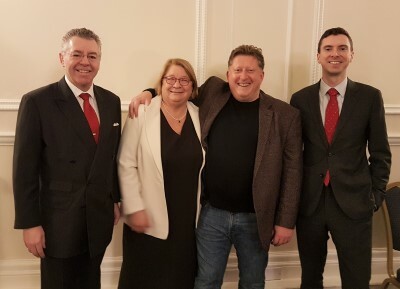 David Stringer-Lamarre, MD of FortisCL, within his role as Chairman of the Institute of Directors, London Region, was pleased to host this dinner at the Institute of Directors (IoD) global HQ in Pall Mall, London. The dinner brought together winners of the IoD London & South Awards 2018 to hear about their organisations and what effect(s) winning had upon them. The dinner was kindly sponsored by Succession Wealth. The guest speaker was British Chef and television personality, Rosemary Shrager who delivered an engaging speech and kindly took questions.